Oh come, let us sing to the LORD; let us make a joyful noise to the rock of our salvation! 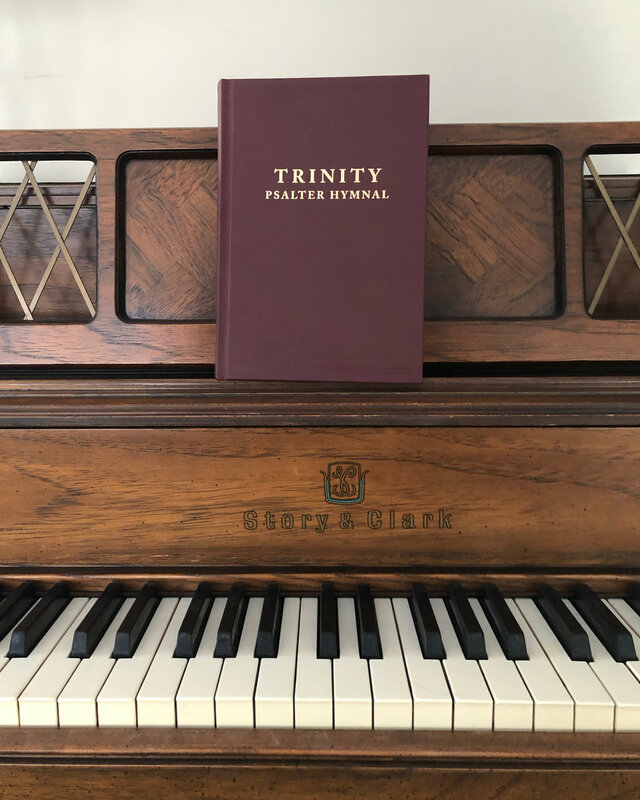 Perfect for congregational or family worship, the Trinity Psalter Hymnal is a wonderful collection of psalms, hymns, and spiritual songs, faithful to the heritage of the Orthodox Presbyterian Church and United Reformed Churches of North America. It preserves the best hymns from our respective denominations’ current hymnals to retain a core musical tradition that is loved by, and familiar to, Reformed congregations and families. Developed with a firm commitment to the singing of the Psalms. The Trinity Psalter Hymnal reflects our churches’ commitment to sing the Psalms. The hymnal contains at least one rendition of each of the 150 psalms, with alternate versions to many of them. Supplemented with a selection of Reformed confessions included.